Infrared (thermal imaging report) is an advanced, non-invasive technology that allows us to show homeowners things about their homes that can’t be revealed using conventional inspection methods. Ancillary inspection reports are just as important as the reports you generate for standard home inspections. For something as specialized as a thermal imaging inspection, it’s critical that the we provide you information that you can use and act on. 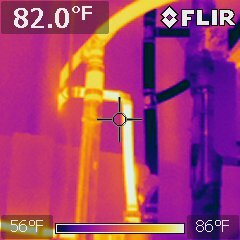 Thermal imaging or infrared, is one of the specialty tools used during a HomeTech inspection. This unique tool has many applications during a home inspection and is included in the inspection price. 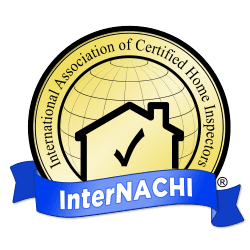 We use this tool on an as needed basis to help in the overall inspection process in Park City, Heber, Salt Lake City and Midway in Utah Home Inspections. This is not a tool that will give all the answers or discover all unforseen issues. It is however helpful in generating a more accurate overall impression of the home. 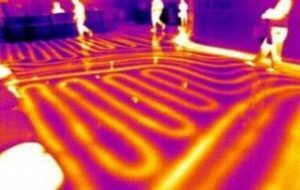 energy loss, and even unexpected hot spots. ​energy loss; and broken seals in double-paned windows. Hidden roof leaks before they cause serious damage; missing, damaged and/or wet insulation; and water and moisture intrusion around penetrations and at the foundation and building envelope that could lead to structural damage and mold. Overheated electrical equipment and components; and electrical faults before they cause a fire. The presence of intruders, such as rats, mice and other larger pests hiding within the structure and detected because of their heat signature that the IR camera captures; and dangerous flue leaks, which can lead to carbon monoxide poisoning of the home’s residents.